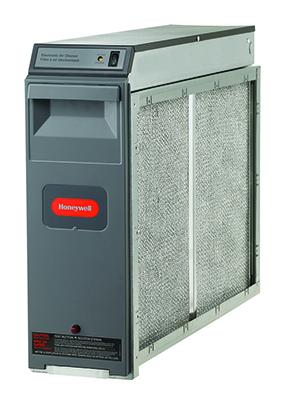 At Greeley Furnace Heating and Air we install Honeywell and Aprilaire air cleaners because they are proven time and again to be some of the most effective and efficient air cleaners on the market today. Each of our air cleaner technicians is certified by North American Technician Excellence, Inc. (NATE) so you can be assured that your air cleaner system will be expertly installed. The dry Colorado winters can be shocking! But static electricity is just one of the inconveniences of low humidity in your home. In-home humidifiers are an excellent way to combat the dryness and help you stay healthier. Greeley Furnace Heating and Air’s certified technicians can expertly install a humidifier into your home’s heating system to help keep the air in your home at a proper humidity level. You choose the humidity level that is most comfortable for you, most experts agree that the preferred level is between 30-50% humidity. These systems are superior to portable humidifier systems because they keep your air from becoming overly saturated with humidity and do not require you to sanitize them daily. REME® or Reflective Electro Magnetic Energy, is an advanced oxidation technology developed by RGF Environmental Group to minimize and neutralize indoor air pollutants such as bacteria, viruses, mold, gases (VOCs), odors, pollen, dust, and other airborne particles. REME® uses an electro-magnetic energy cell to create ionized hydro-peroxides (H2O2), a friendly oxidizer plasma made from oxygen and humidity. This hydrogen peroxide vapor is excellent at killing germs, reducing VOCs and eliminating unwanted odors. In addition, RGF’s In-duct HVAC unit, the REME HALO®, has the added benefit of reducing airborne dust and particles through bi-polar ionization. Particles will clump together to form larger, heavier particles, which in turn drop out of the air or are caught by your filter. REME HALO® in-duct air purifier is the next generation of indoor air quality (IAQ) technology and capable of purifying every cubic inch of air that your central air conditioning system reaches. Invented to recreate nature’s process of purifying the air, it’s like bringing fresh outdoor air inside without ever having to open your windows. And it’s effective against all three categories of indoor air pollutants: Particulates, Microbial and Gases. 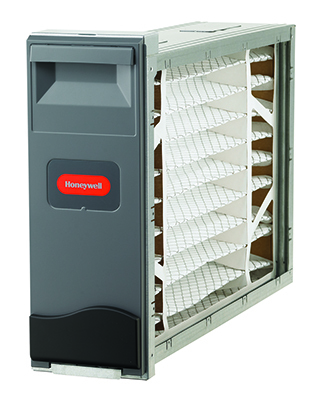 You can now reduce common allergy triggers from particulates such as pollen, mold spores, dander and dust. Thoroughly tested on airborne and surface bacteria & viruses, such as MRSA, e-coli, and Norwalk, to name a few. Say goodbye to odors from cooking, pets, dirty socks, diaper pails, and musty rooms.